Innovative gameplay and control scheme optimized for the Wii - Defeating monsters requires both motion-controlled physical attacks, but also use of the Wii Remote as Amaterasu's 'Celestial Brush' to paint the desired powers for decimating enemies and solving puzzles. Create and destroy at will - Play as a god to re-establish order and beauty to a world laid barren by evil. Intriguing main character – Assume the role of the sun god, Amaterasu, who descends upon the earth in the form of a wolf. 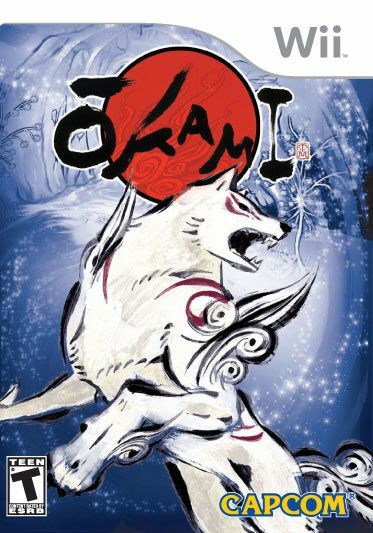 The Japanese translation of the word wolf is Okami. Original visuals and revolutionary design– Vibrant and inspiring graphics, reminiscent of traditional Japanese art created on paper scrolls, produce a large variety of stages with a watercolor-esque appearance. Interact with a unique and dynamic cast of characters.